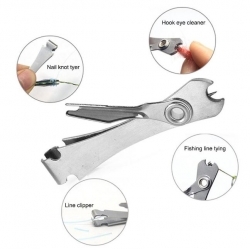 Cleaning game has never been faster or easier with the Meyerco(R) Zipper Gut Hook Tool. 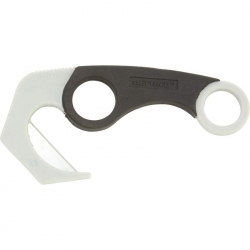 This dedicated gut hook tool features a rubber sure-grip handle for ease of use. Nylon sheath for storage and 3 extra blades are included. Gut hook measures 6-3/8' x 2-7/8' x 1/2'. Limited forever warranty. Clamshell. 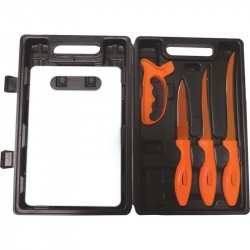 Includes 13' fishing knife, 11' fishing knife, 10' fishing knife, sharpening steel, cutting board, and blow-molded case. Knives and sharpening steel feature Leymar(TM) handles. Limited lifetime warranty. 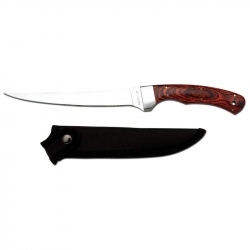 Includes 13' fishing knife, 11' fishing knife, 10' fishing knife, sharpening steel, cutting board, and blow-molded case. Knives and sharpening steel feature Leymar(TM) handles. Limited lifetime warranty. White box. 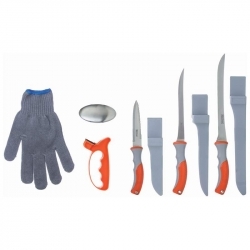 This set can do everything from cleaning fish, trimming meat or preparing fruits and veggies. It includes two sizes of filet knives, a double-sided utility knife (serrated and scaler), a sharpener, a stainless steel odor bar and a cut-resistant glove. You've got it all with this handy set. 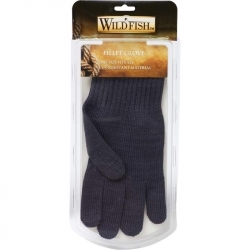 Take it with you on your next fishing or hunting trip and make the tasks at hand easier and faster. Clamshell. 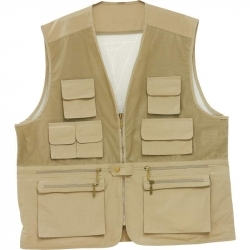 Features multiple pockets varying in size (5 with zippered closures), self-fixing large nylon front zipper, breathable mesh back with 1 large pocket, lined mesh front, and 35% cotton/65% polyester construction. 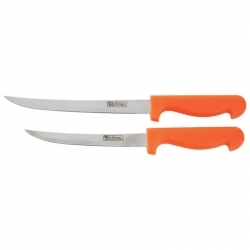 An essential tool for the fisherman cleaning his daily limit, the Maxam(R) Fillet Knife with Sheath is also a valuable must-have for the kitchen cook. Fast and light, this quality fillet knife deftly cuts and trims when a larger knife may be cumbersome to use. 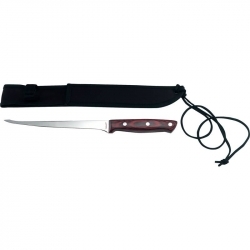 Features laminated wood handle, stainless steel bolster, and nylon sheath with belt loop. Blade measures 6-1/2', and the knife measures 12-1/4' overall. Limited lifetime warranty. Clamshell. 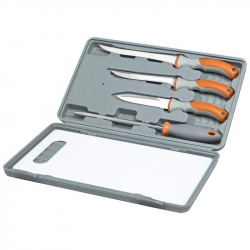 The Wild Fish(TM) Fish Fillet Knife Set features composite handles and quality 420 stainless steel blades. Clear protective sleeves included. Knives measure 6" and 7-1/4". Limited lifetime warranty. Clamshell. This knife is for the outdoorsman that appreciates form as well as function. The full-ground mirror finished 7-5/8' stainless steel blade and laminated wood handle puts this 12-1/2' fillet knife at the top of its class. Includes nylon sheath for added protection. Limited lifetime warranty. Gift boxed. The 2Pc Mossberg(TM) Fish Filet/Bait Knife Set features Pakka wood handles and blades constructed of rugged 420 stainless steel. 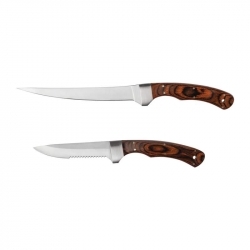 Filet knife measures 12-1/4" and the bait knife measures 9-1/2'. Nylons sheathes included for both knives. Board-on Board package. 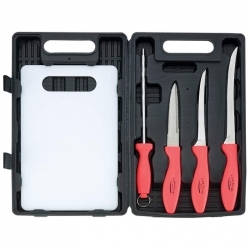 The Wild Fish(TM) 6pc Fish Fillet Set includes a 7-1/2" fillet knife, a 6" fillet knife, and a 5" two-sided utility knife (serrated and scaler) constructed with durable 420 stainless steel blades and patented sure-grip soft rubber handles. Deluxe sharpening steel and cutting board are included. Packed in an 8-3/4" x 14-3/4" x 1-5/8" impact-resistant carrying case. Limited lifetime warranty. Gift boxed.